Curious about how Honda’s latest models compare to similar vehicles from competitors? Actually, we’re very happy to hear that you’re interested. Here at Norm Reeves Huntington Beach, we honestly believe that a Honda is a great choice for your family’s vehicle – and seeing how each vehicle compares to its competitors will give you a much better sense of why we’re selling these vehicles and not the lineup of a different manufacturer. These comparisons are not straight-out reviews. Instead, they serve as a quick way to understand the different features of each vehicle and see how they compare against each other. For example, does a Mazda model lack an important luxury that a Honda has? How powerful and capable are the respective engines, or are they actually very similar? Are prices significantly different or so close that it doesn’t really matter? These are the kinds of questions that each review is focused on answering. Vehicles are very complex, and are composed of many parts and pieces that we decided not to list within our comparisons – after all, the comparisons are meant to be short and easy-to-read, not a complete technical outline of every part. For more information on any Honda vehicle, call our sales department at 888-405-0115 and ask to talk to one of our in-house experts. They can provide immediate answers to just about any question. 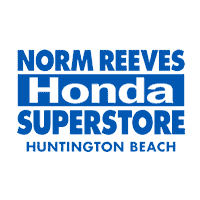 Norm Reeves Huntington Beach is an official Honda dealership that serves the Orange County area. If you’ve read comparisons between specific models then you probably have a very good idea about what type of vehicle you’re looking to buy – but we don’t want you to make your decision based on the comparison alone. Instead, we’d like to offer you the opportunity to test-drive your Honda before you buy it. Comparisons exist to give you a good sense of what vehicle matches your needs the best, while test-drives explain the parts of the car that words can’t cover. Be sure to call ahead to make sure that your vehicle is in the lot and that a representative will be available to assist you!